At AssureVision we stay on the cutting edge of technology. 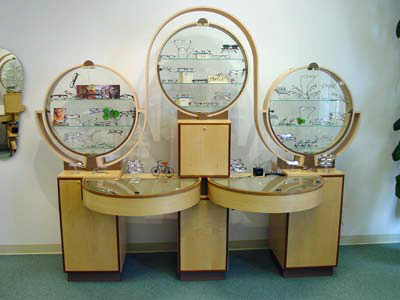 We are proud to have been selected to be providers of lenses for Google Glass™. 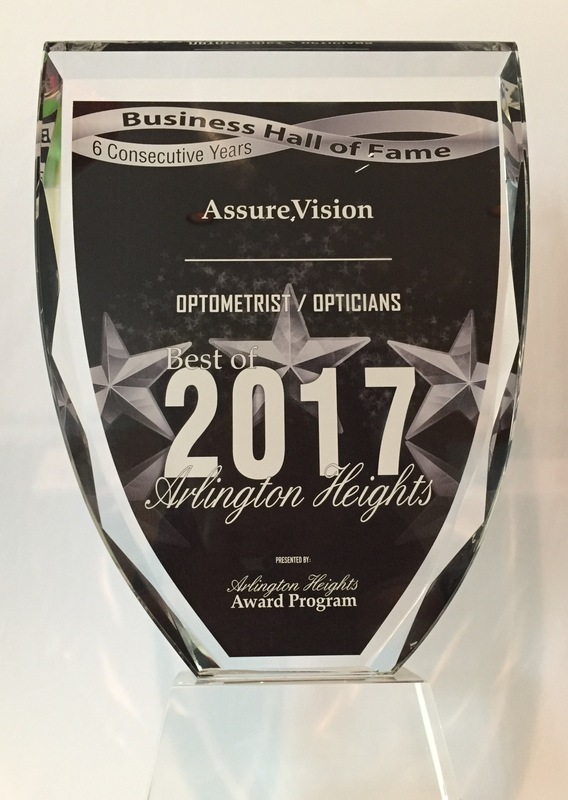 AssureVision is among a very small group of companies that have won the Best of Arlington Heights Award for five consecutive years. This distinction has qualified us for the 2017 Arlington Heights Business Hall of Fame. To commemorate our inclusion in this elite group an exclusive Hall of Fame Award, available only to Hall of Fame inductees, has been created. At AssureVision, we are dedicated to providing high-quality optometry services in a comfortable environment.Call us at 847-368-9999 or schedule an appointment today online. Nationally, just 1.4% of the 2017 Awards were certified as Two Time awardees. This recognition is a result of the dedication and efforts in our office, that have helped build AssureVision, year after year. AssureVision team is now a part of an exclusive group of small businesses that have achieved this selection. 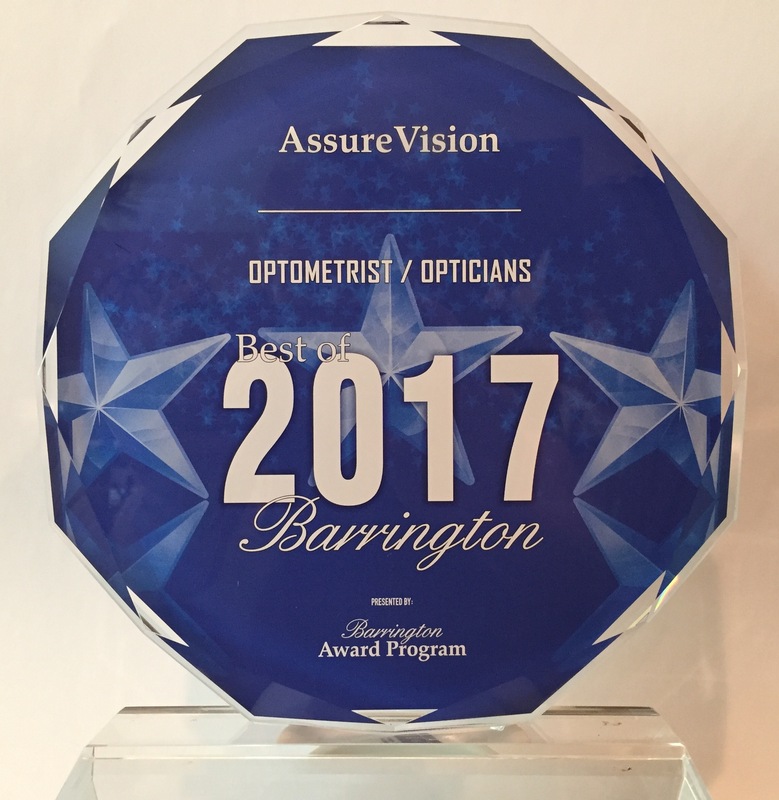 After just ONE full year in our New Barrington Location, AssureVision - Barrington has the "Distinct Honor" of being Awarded the: "Optometrist/Optician - 2017 Best of Barrington"
Dr. Eugenia Lomazov and Assoc. New patients receive FREE Basic single vision lenses. Sign-up using the form or call us at 847-368-9999 (Arlington Heights) or 847-724-2020 (Glenview) to take advantage of this exclusive offer.